In Colorado, the term "shared custody" refers to a living arrangement where children divide their time between both parents' households. This doesn't necessarily work out to a 50/50 split. The statutes set the minimum amount of time for shared custody at 93 overnights per year with one parent, or about 24 percent of the time. This is typically much more than the average schedule when one parent has primary physical custody and the other parent has his children every other weekend. This kind of arrangement works out to about 52 overnights a year. Colorado law requires parents to submit a proposed schedule to the court when they file for divorce. If parents can't agree on a schedule, the judge will probably order mediation. If that fails -- and if shared custody is feasible -- he will usually order a joint parenting schedule based on the children's needs and commitments, such as to school and extracurricular activities. In Colorado, the term "shared custody" refers to shared physical living arrangements, and the term "joint custody" refers to shared decision making. Decision making doesn't include daily, mundane issues, such as bedtimes and play dates. These decisions fall to the parent with whom the children are living at that time. Joint custody addresses issues that are fundamental to the children's lives, such as religious upbringing, medical care and education. Barring a hostile relationship between parents, the court expects them to make such decisions together. If parents who have joint legal custody can't agree on an important issue, they must generally return to court. However, Colorado law does not allow the judge to make the disputed decision for parents. He can't rule that the child should attend a certain school or forego medical treatment. A judge can only order that one parent has the sole right to make that particular decision. Whenever a parent has his children more than 93 overnights a year, it affects child support. Under Colorado law, when parents have shared physical custody, it changes the method of calculation. Colorado courts use Worksheet B in this situation, rather than Worksheet A. Worksheet B assumes that both parents are contributing to their children's financial needs by paying directly for things such as food, clothing and shelter. However, if one parent earns more than the other, Colorado law expects him to make a cash payment to the other parent to achieve financial balance. If your shared physical custody or joint legal custody arrangement isn't working out post-divorce, you can file a motion with the court to change it. The requirements are somewhat different depending on which kind of custody you want to change, but both are based on the best interests of the children. If you want to modify the parenting time schedule, you have to prove that some circumstance now exists at your ex's home that places your children in emotional or physical danger if they continue to live there. The court will order a one-week supervisory period of his home, then hold a hearing and make a decision. 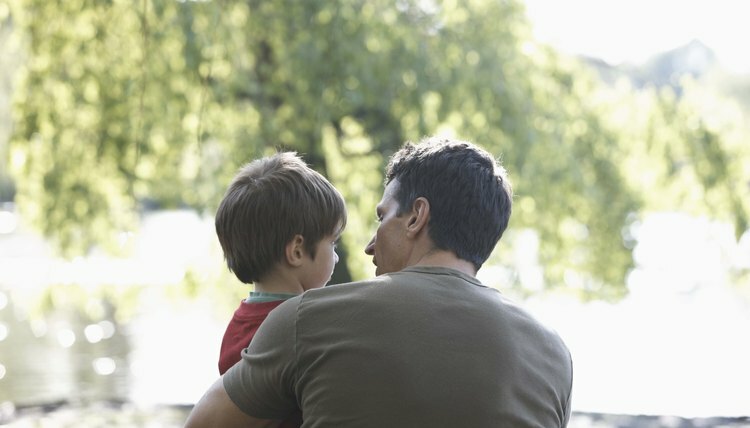 Changing joint legal custody usually involves proving that your ex doesn't contribute to decision making, even though he has the right to do so, or that his decisions place your children in dangerous situations.